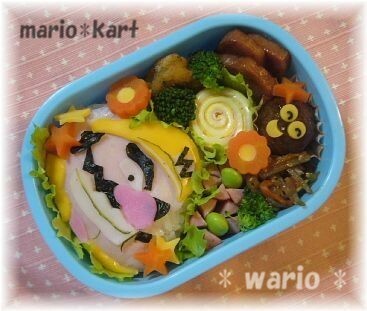 Wario bento. . Wallpaper and background images in the Nintendo club tagged: nintendo wario bento food. This Nintendo photo might contain lunch, luncheon, tiffin, dejeuner, salad, and turkey dinner.